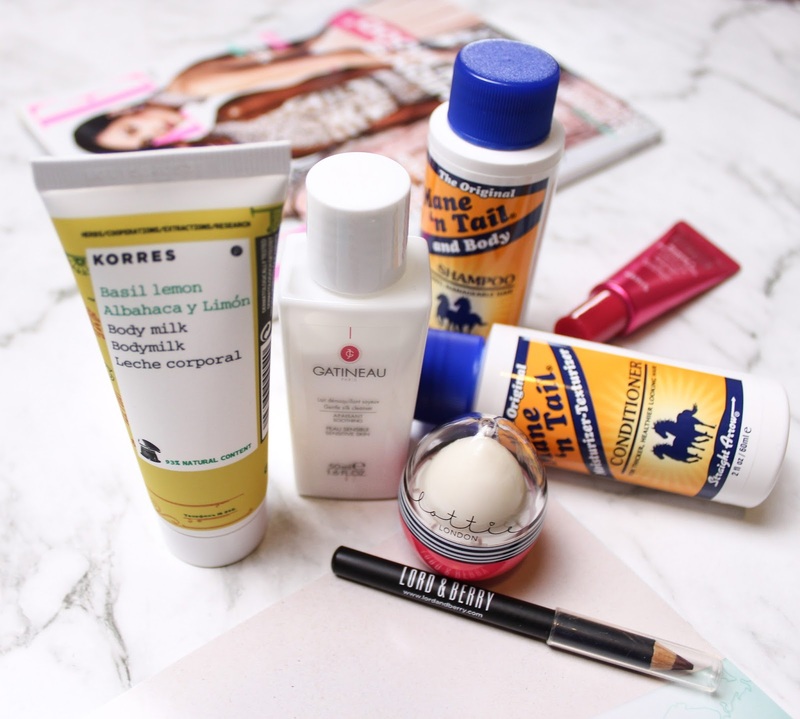 I've been on a few beauty subscription boxes in the past, but after a while they became repetitive and underwhelming. Once I read how many were absolutely blown away by the product selection is these boxes, I just had to sign up! So today I am bringing you the Global Glamour edition where I will be giving you a brief overview of each item and what I think of these beauty boxes so far. After hearing such wonderful things about this range, of course my expectations were through the roof! I'm sad to say that this just didn't do it for me so I can't understand the hype over it. It did a great job at clarifying but it stripped my hair to the point where it left me with dry and tangled locks (not ideal when you have long hair). Unfortunately, it's a miss for me. Korres are a brand I only discovered my love for a couple months ago so I was excited to find this in the box. Basil and lemon sounds like an odd combination but it's actually really lovely. It's fresh and zingy which is perfect now that we are into Spring, and it's not a heavy moisturiser at all so it doesn't leave a greasy residue behind. 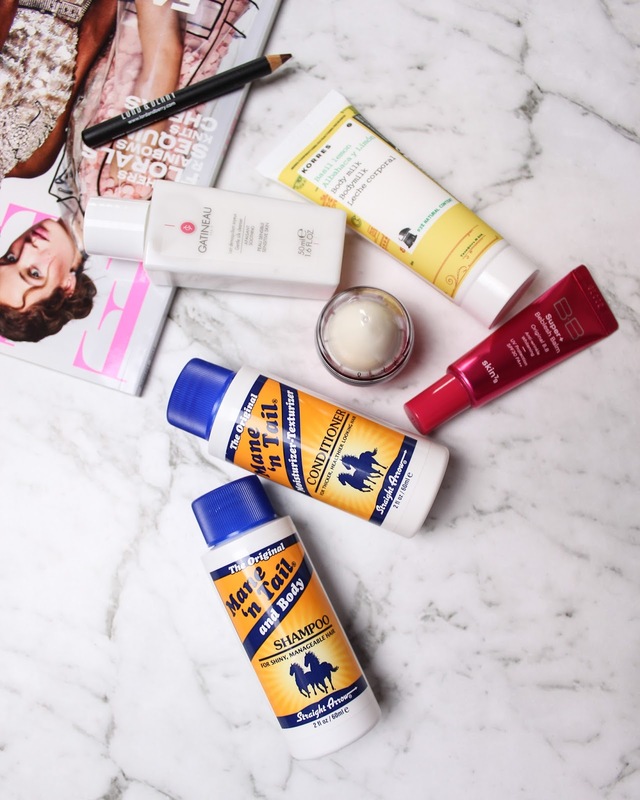 An amazing product to carry in your travel beauty bag! Isn't this just the cutest lip balm you have ever seen?! I was surprised with the scent 'Cherry Pie' and this girl loves cherry flavoured ANYTHING, so I couldn't wait to slather this all over my lips. It has quite a slippery consistency which after a while disappears so you feel like you have to constantly reapply. A part from that, it hydrates well and lip balms are always handy to have around. I love using BB creams on lazy makeup days or when my skin is being good to me so all I need is light coverage. I've heard Korea really know their stuff when it comes to BB/CC creams and cushion foundations so I was eager to give this one a go. The consistency is quite thick but it blends into the skin easily with my fingertips and it helps to neutralize redness for a more even complexion. I'm quite happy with this product and I wouldn't mind trying more Korean beauty. I like the creamy texture of this cleanser and the scent is just lovely. It is definitely gentle so it doesn't strip the skin of its natural oils and dry it out which makes it perfect for sensitive skin types. My skin is left feeling cleansed, soft and comfortable and I think this will get a lot of use during the cooler seasons. At first, the shade 'Brunette' looked far too dark for my light brows and I thought there would be no way I could make this work. However, with a very light hand and the fact that it has a two-tone universal tip, my brows looked pretty on point! The pencil itself isn't dry and scratchy (which can be the case for some and it's totally cringe), so this item is also a winner for me. It takes no time at all to apply and it's a fantastic product to pack in my travel makeup bag. This is the second beauty box I've received with my subscription and so far I have to say I am loving it! There is a new theme each month and the boxes are beautifully designed so I really appreciate the effort the team put into these boxes, as well as the versatile range of beauty products they select for each box. It also includes a copy of Elle magazine plus a little booklet with a description of your goodies and other beauty trends to read about. 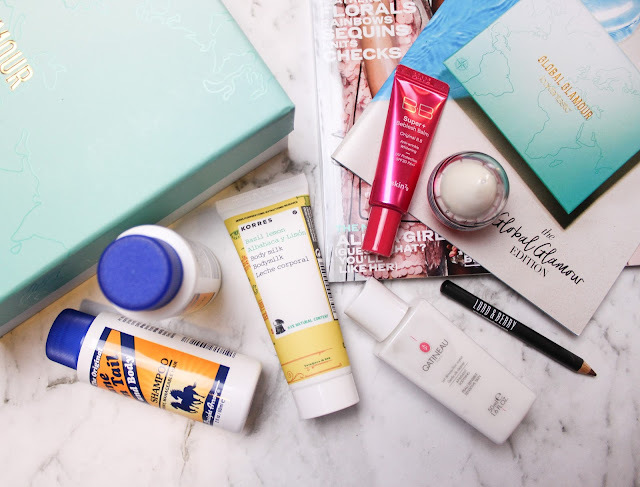 A fantastic way to discover new brands and products and by far the most impressive beauty subscription box I've signed up for. Very well worth the money!